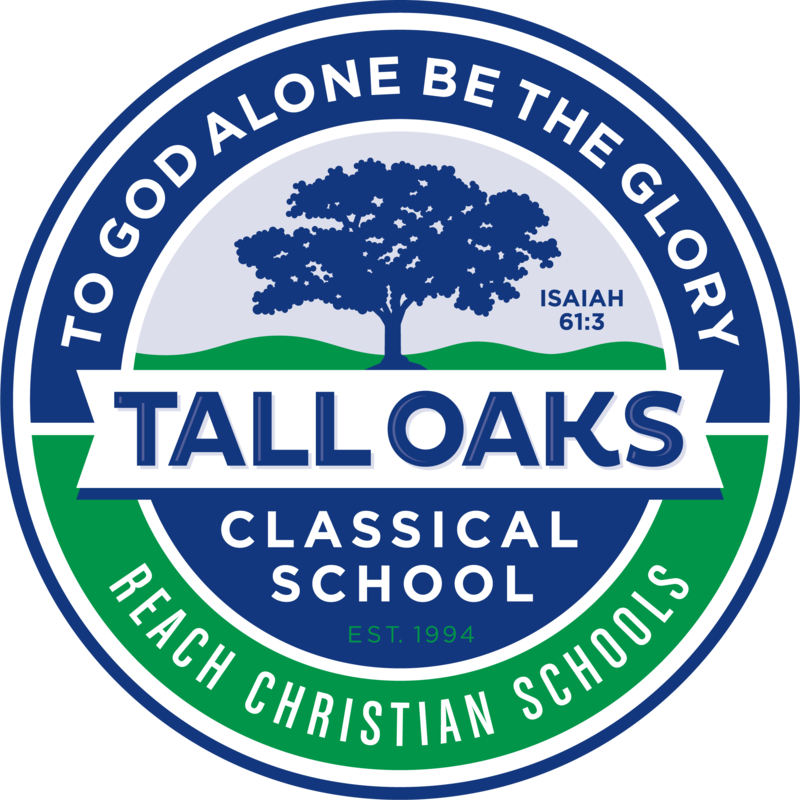 Tall Oaks Classical School, founded in 1994, provides a Christ-centered, classical education. It includes three stages of age-appropriate K-12 learning discovered over 2000 years ago referred to as the Trivium. The best advertisement for Tall Oaks are our students and our graduates. In a recent survey of Delaware area schools, Tall Oaks was among the highest in the three-year SAT average of all schools willing to report their scores. Ninety-eight percent of our graduates choose to go on to college and report that they are well prepared for higher education, often more so than their college classmates. Whether in morning review, in the classrooms, on sports fields, or at special events, students are engaged and participating. Come and experience Tall Oaks! Tall Oaks Classical School located in Bear, Delaware is a charter member and accredited school of The Association of Classical & Christian Schools (ACCS). The ACCS Board of Directors approved our accreditation in April 2009. We are fully accredited through April 2021. The primary mission of the ACCS is to promote, establish, and equip schools committed to a classical approach to education in the light of a Christian worldview grounded in the Old and New Testament Scriptures. The association provides accountability for member schools to ensure that our cultural heritage is not lost again. The ACCS seeks to set an educational standard for a unified and directed approach to Classical, Christian learning. The ACCS also equips schools to teach subjects through the methodology known as the Trivium (grammar, logic, and rhetoric), the educational foundation of our Western culture. While the ACCS accreditation process follows a familiar pattern of self-study followed by an on-site visit, the focus of this process is carefully targeted at the most important elements of successful schools. ACCS accreditation measures how well schools consistently implement a Christian and classical philosophy of education throughout the entire school organization from school board oversight to classroom pedagogy, including student participation, conduct, and development, staff training, parent-teacher relations, operational and financial policies, community support, and the overall spiritual ethos in the classrooms. Accredited schools integrate Scripture throughout their curricula and demonstrate conformity with the Trivium in their teaching. When schools are accepted as accreditation candidates by ACCS, they gain a partner who is committed to helping these schools improve through the accreditation process.